Your routine cleaning and checkup appointments are the best way for your dentist in Metairie to help you achieve and maintain optimum oral health. 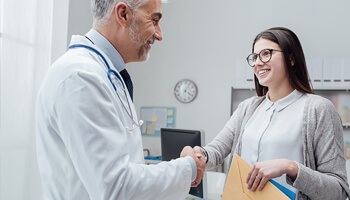 With these appointments, we can keep your smile healthy and bright and detect any dental concerns like oral cancer, gum disease, tooth decay, and cavities early on, which means that you’ll be able to treat them with more comfortable and less expensive procedures. Studies that have emerged over the years have shown us the connection between your oral health and your overall health and well being. We now have an understanding that the same bacteria that causes gum disease can also contribute to other health concerns such as diabetes, heart disease, high blood pressure, complications with pregnancy, stroke, and vice versa. Gum disease is an infection and inflammation of the soft tissues and bone that support your teeth. This occurs when excess plaque causes your gums to separate from your teeth allowing harmful bacteria below your gum line. If it’s left untreated, gum disease will eventually lead to tooth loss. Consistent dental visits will also help protect your teeth against tooth decay and cavities. Dr. Nelson can detect decay early on during his examination and with x-rays. When decay is spotted early on, it can usually be treated with a dental filling. Decay that is left untreated will progress and could reach the nerve of your tooth and cause an infection, which would require a root canal to preserve your tooth. Being consistent about attending your routine dental cleanings and checkups will save you time, money, and discomfort in the long run. During your cleaning, your hygienist will remove the plaque and bacteria that contributes to gum disease and tooth decay. Dr. Nelson will also screen you for these concerns during his examination. By detecting periodontal (gum) disease early on, you can successfully manage your condition with the help of your team at Nelson Dental Care and protect your overall health. When you treat tooth decay in its earliest stages, it save you from having to ensure more invasive procedures such as root canal therapy in order to restore your tooth back to health. 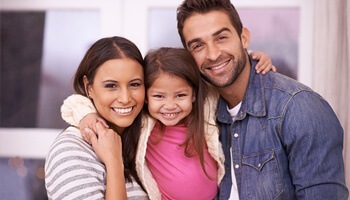 At Nelson Dental Care, we are well equipped to care for every member of your family. 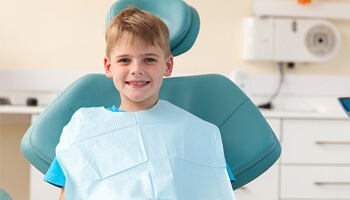 We see children of all ages, and we offer a wide range of preventive services for adults whether they are just maintaining their oral health, or managing gum disease. If it’s time for your next dental checkup in Metairie, give Nelson Dental Care a call today to schedule.